In match 30 of Indian Premier League 2019 (IPL 2019) Sunrisers Hyderabad (SRH) will host Delhi Capitals (DC) at the Rajiv Gandhi International Cricket Stadium in Hyderabad on Sunday. 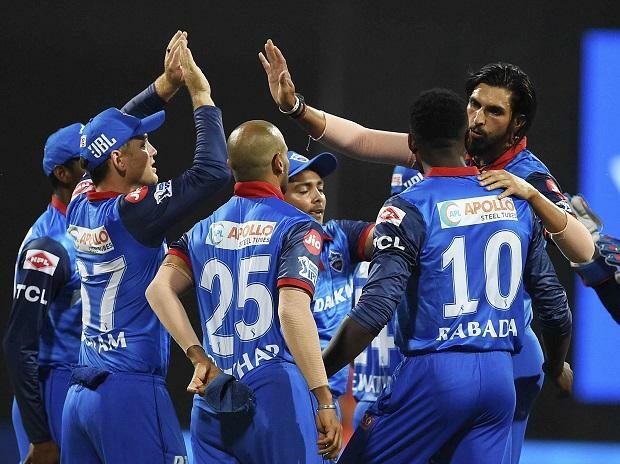 SRH have lost their last matches and would be looking to hop on the winning cycle yet again while Shreyas Iyer's Delhi Capitals are high on confidence after defeating Kolkata at the Eden Gardens on Friday. SRH had everything in their favour until their last two matches where cracks were seen in the batting line-up and high dependence on openers David Warner and Jonny Bairstow paid heavily. Delhi Capitals have a reason to relax as southpaw Shikhar Dhawan roared heavily with unbeaten 97 against KKR. Hyderabad's pitch my play a spoilsport for batsmen but spinners may like it. SRH have slipped to sixth place in the IPL 2019 points table while Delhi climbed three spots to reach number four in the table. Hyderabad lost to Kings XI Punjab in their last match after they put 151 run target in which David Warner contribued with valuable 70 runs. Jonny Baistow failed to reach two-figure score while Vijay Shankar too persihed after scoring 25 runs. SRH will have to sort out the batting line-up as they cannot really rely on Manish Pandey and Deepak Hooda much, also, Mohammad Nabi is yet to prove his batting acumen. SRH needs Kane Williamson to take the charge and strenghthen batting line-up so that if Warner and Bairstow fail, he can provide the required support. Bhuvneshwar Kumar has been tasked with captaincy and he has somehwere lost the flair in the bowling after that. Siddarth Kaul does pick wickets but he is usually expensive with runs, while Sandeep Sharma is doing well with economical figures and wickets in his kitty. Mohammad Nabi and Rahshid Khan have lost the sheen that appeared initially as they look flustered with bowling. SRH need to return to winning ways at the crucial juncture in the tournament. The crest and trough continues in Delhi's graph as the side bounced back with two consecutive wins after as many losses. The batting line-up is strong and it's just a matter of who shines and at what situation. They have a strong back up with Rishabh Pant, Colin Ingram in the middle after Prithvi Shaw, Shikhar Dhawan and Shreyas Iyer at the top. With Chris Morris, Axar Patel, Keemo Paul, Kagiso Rabada and Ishant Sharma, the bowling side is equally formidable. Rahul Tewatia remains and exception here as he has not been able to cement a proper spot for himself and if Delhi decide for changes, then he and perhaps Keemo Pual may warm the bench. It's so far so good for Delhi and they'd look to climb up in the IPL points table with one more win. SRH vs DC match live streaming will be available live on Star Sports 1 HD, Star Sports 1 in English Commentary and Star Sports 1 Hindi, Star Sports 1 Hindi HD in Hindi Commentary. One can also live stream the SRH vs DC 2019 IPL match on Hotstar app and Tatasky app. The fans can also watch in-depth analysis of live match on Star Sports Select 1, Star Sports Select 1 HD.